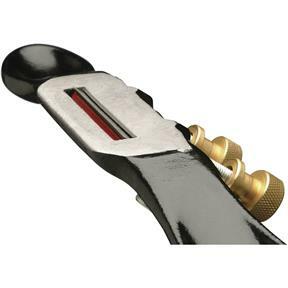 Heavy cast iron body, high carbon heat treated steel blade and precision adjustment knobs make this Spokeshave a pleasure to use. Straight sole for shaping flat surfaces or convex sole for shaping contoured surfaces. I bought this for shaping guitar necks. After I honed the iron it worked great on the straight parts, but you still have a fair amount of rasping to do at the heel and headstock. I plan to now get one with the convex bottom so the curved surfaces at the ends can be carved more nearly to the final profile. 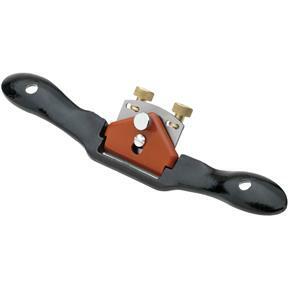 For general purpose shaping in more or less straight lines this one works great and is an excellent value. You can adjust it to remove a lot of wood in a hurry and then back off to get a finer cut.